Get control of your cargo area with this useful envelope-style cargo net. 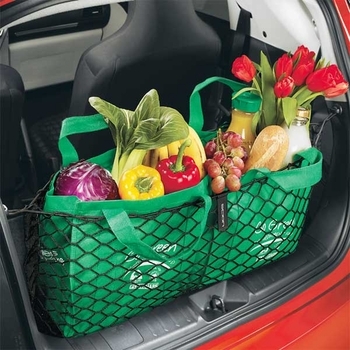 Designed to help keep your cargo area organized, the cargo net holds a variety of everyday items�from groceries to athletic gear�and helps ensure they don�t shift around or tip over. Made of durable netting that attaches to defined points in the rear cargo area, the net even includes fabric pockets for stashing small items. Attaches to specific points in your cargo area. Quickly detaches and stores flat in your iQ for easy storage. Helps keep items secure and includes zipper pocket for smaller items. Custom-fit to your iQ's cargo area.